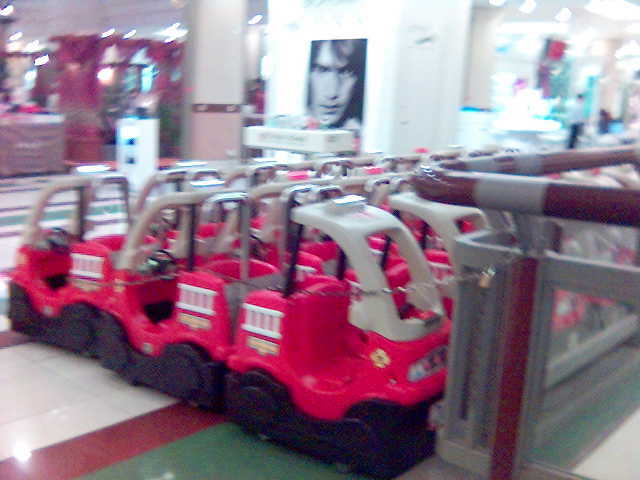 Tell me if you still see the cute cars in One Utama? I have not been to One Utama for two years, no kidding we seldom go there because it is hard to find parking. We don't have One card, do you? I remembered my son enjoy his ride in the cute car. He is big boy now, he cannot fit in the car. His brother is too young to take the ride. These looks really cool but do we still need to pay for it? ?